When the Connecticut Correctional Institution opened in Somers in 1963, it represented yet another chapter in the state’s history of housing those convicted of crimes. This new facility, now known as the Osborn Correctional Institution, marked the closure of the Wethersfield State Prison, which had served from 1827 until 1963. During its 56 years of existence, Wethersfield State Prison had housed both men and women (in separate parts of the prison) and operated as a state-of-the-art facility focused on changing the prison experience from one of punishment to rehabilitation. Prior to 1827, the infamous New-Gate prison site in East Granby had served the state. New-Gate had been in operation since before the Revolutionary War, but as Connecticut’s prison population grew, New-Gate’s damp, musty mine tunnels and outdated above-ground facilities proved inadequate for securing inmates. 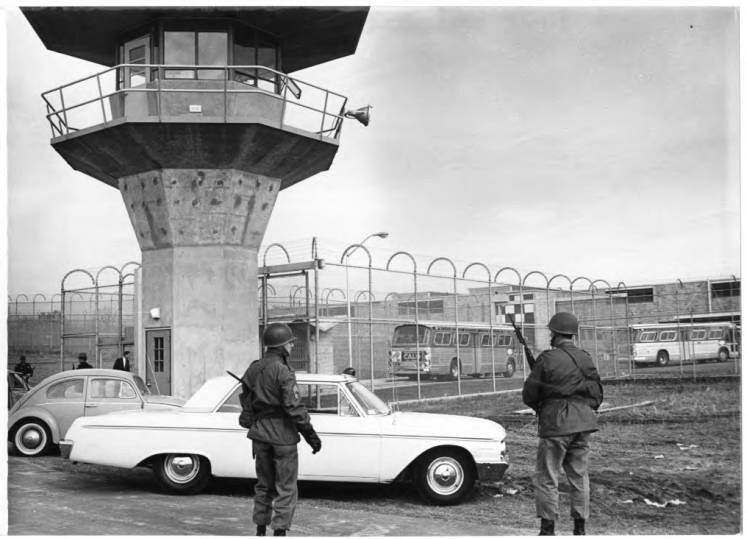 With the November 1963 opening of the Connecticut Correctional Institution, the state transferred all prisoners from Wethersfield to Somers. 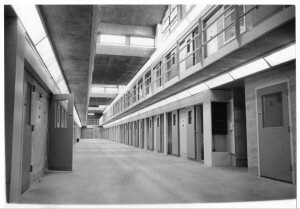 The new facility acted not only as the state’s maximum-security prison but also as the reception and diagnostic center for all of Connecticut’s incoming male inmates. In the summer of 1994, the Connecticut Correctional Institution was reorganized into a medium-security prison and renamed the Osborn Correctional Institution. It took its name from the Osborn Prison Farm, a large rural tract of land in neighboring Enfield that had established operations in the 1930s. In 1995, officials moved death row inmates at Osborn to the Northern Correctional Institution, a newly opened maximum-security state prison also in Somers. Today, Osborn contains one of the largest prison populations in the state. It has an inpatient hospital, mental health unit, and educational program and also provides inpatient substance abuse treatment. In an effort to help rehabilitate prisoners, Osborn employs inmates at making clothing and mattresses and in running a full-service print shop.